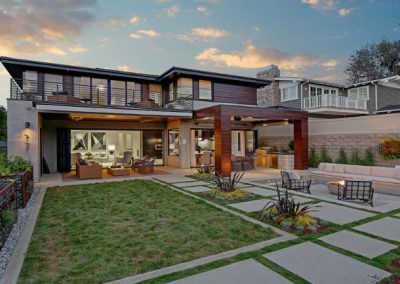 We were proud to be selected by the editorial staff of Sunset Magazine to be the outdoor design team for their Idea House in Manhattan Beach, CA. 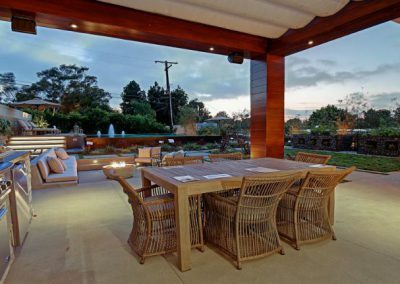 Working hand in hand with the magazine staff as well as builder, Mike Davis Custom Homes, we brought the indoors out in this highly anticipated public event. 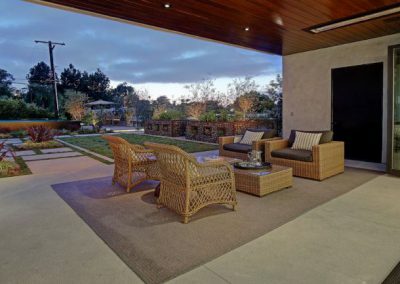 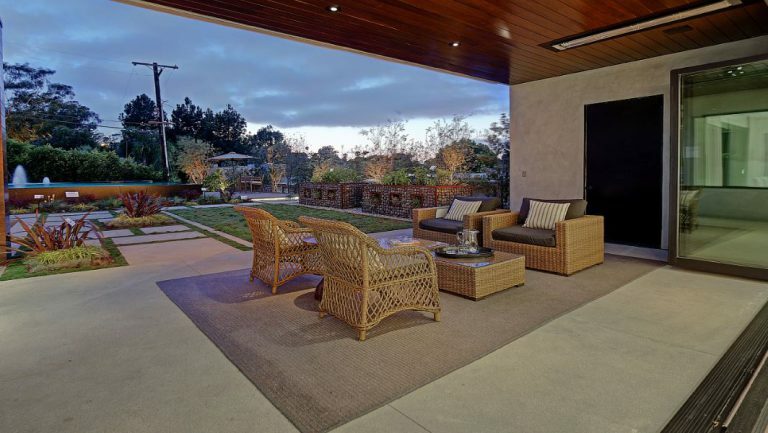 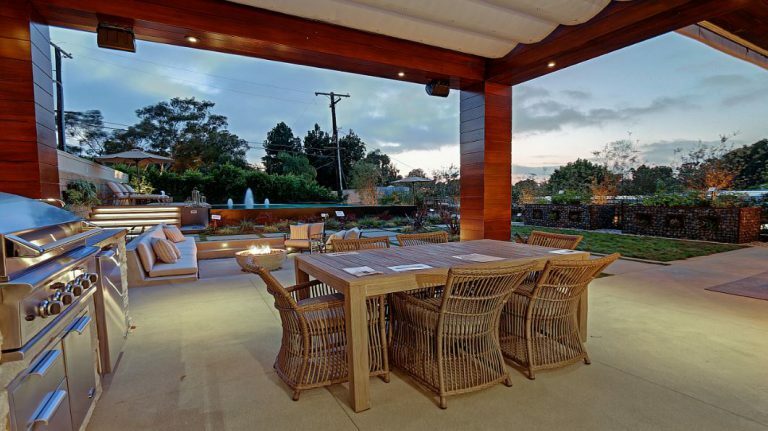 In our temperate climate, there is always good reason to enjoy your outdoor space. 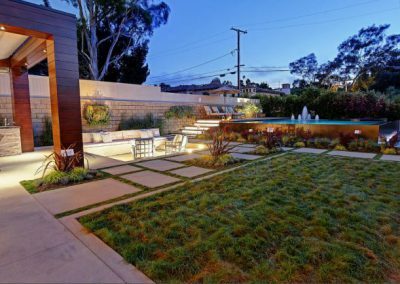 One of the main attractions of Southern California (and or Sunset Magazine for that matter) is the attraction to, and enjoyment of outdoor spaces. 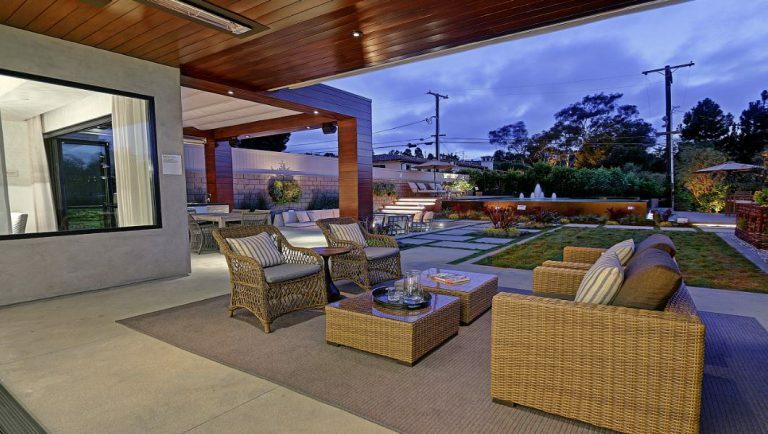 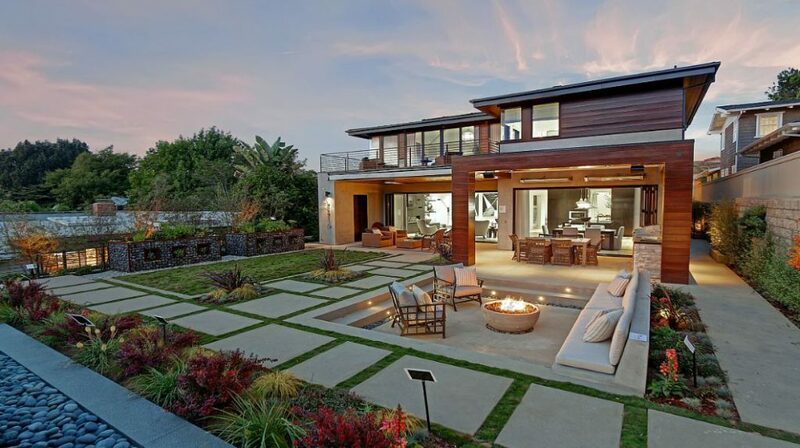 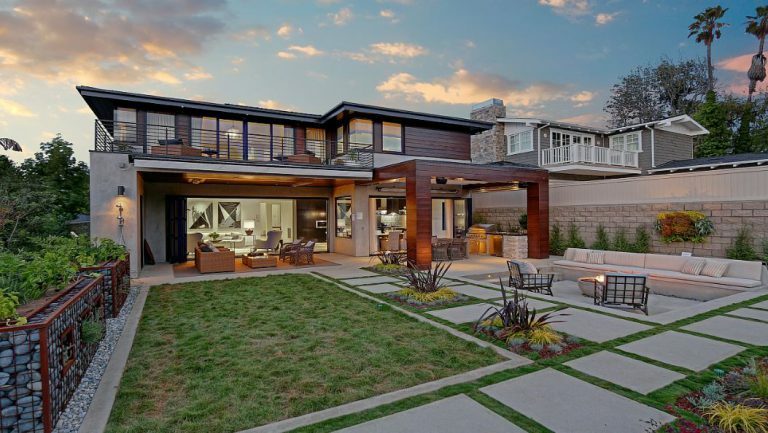 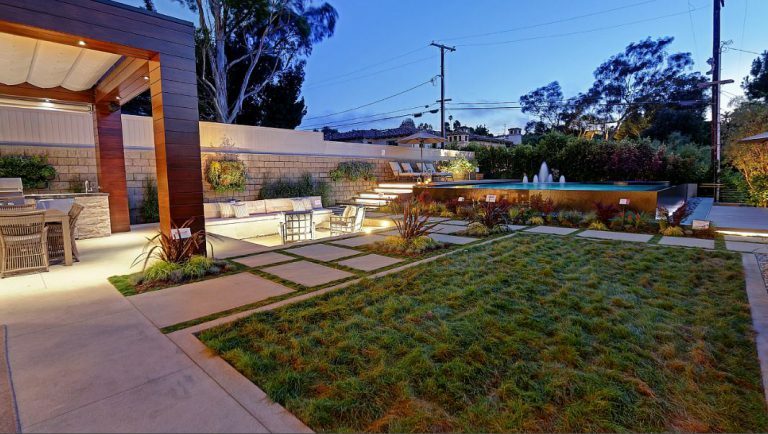 We gave the Idea House the “Sunset” treatment with Manhattan Beach Style. 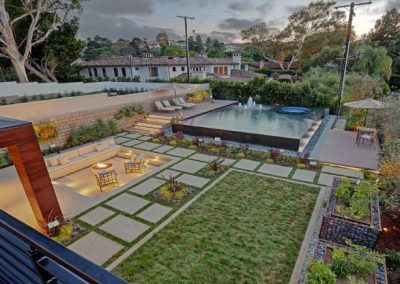 The sunken conversation area with embedded bench seating and round fire pit was the perfect offset to both the raised gabion vegatable planters, and of course the above ground pool and spa. 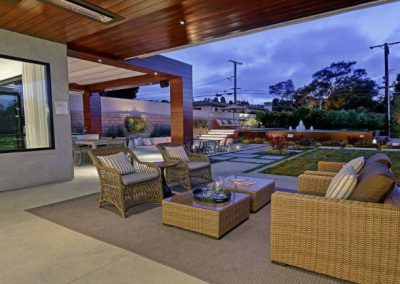 Countless conversations took place in this tranquil backyard setting while the house was toured through the summer months and host to countless media and private events. 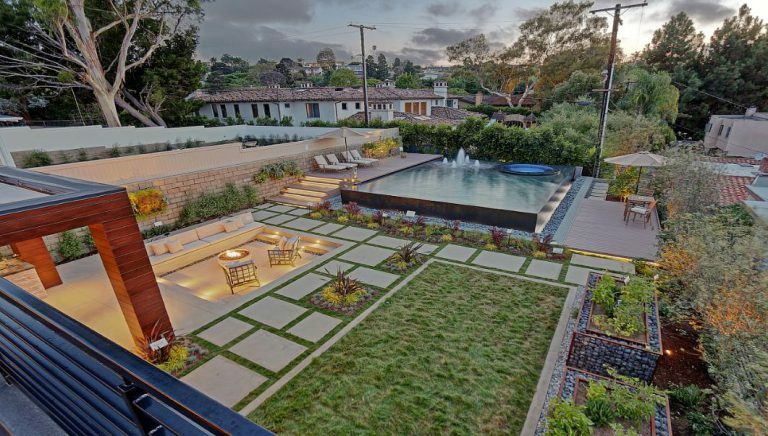 We placed raised decks and seating space, as well as fruit trees to offset an above ground pool. 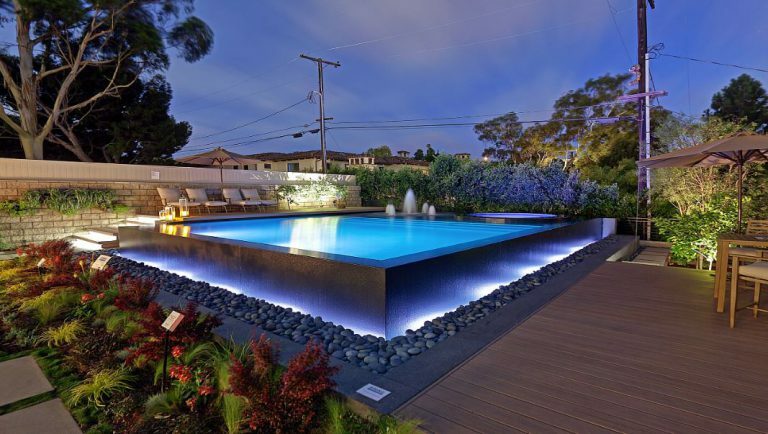 The baja shelf of the pool provides additional seating area on a hot summer day, and a cool way to enter the Spa, as you are just inches within the water. 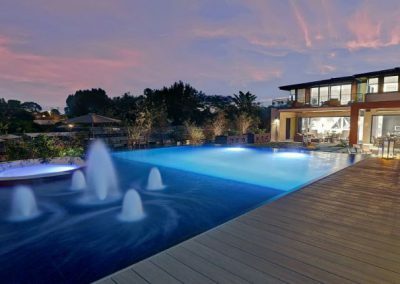 The pool, a main element of the house, was also a dramatic water feature with infinity edges that spill out and recycle water throughout the pool. 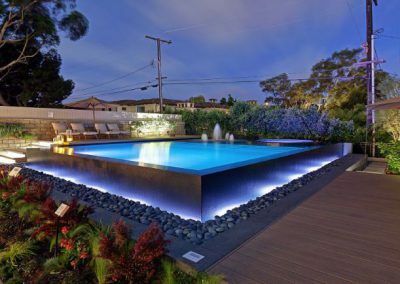 The pool was a requirement for the build, and by doing an above ground pool design such as this one, tens of thousands of gallons of water were saved vs building a traditional in ground pool, which due to additional depth, use much more water to fill and use.